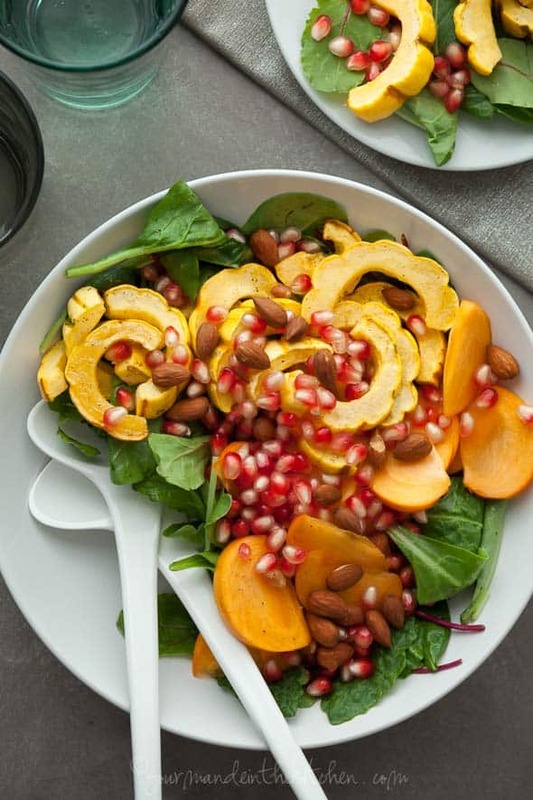 A cool-weather salad filled with roasted delicata squash, persimmons and pomegranate that’s brimming with bright flavors and colors. While this time of the year warm soups and hearty casseroles often steal the spotlight, I think that a substantial salad brimming with seasonal favorites like squash and hearty greens has its place at the dinner table as well. 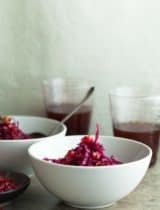 One with body and heft, that’s loaded with colors and big, bright flavors ranging from sweet to tart, especially when a nice, zippy vinaigrette is involved. 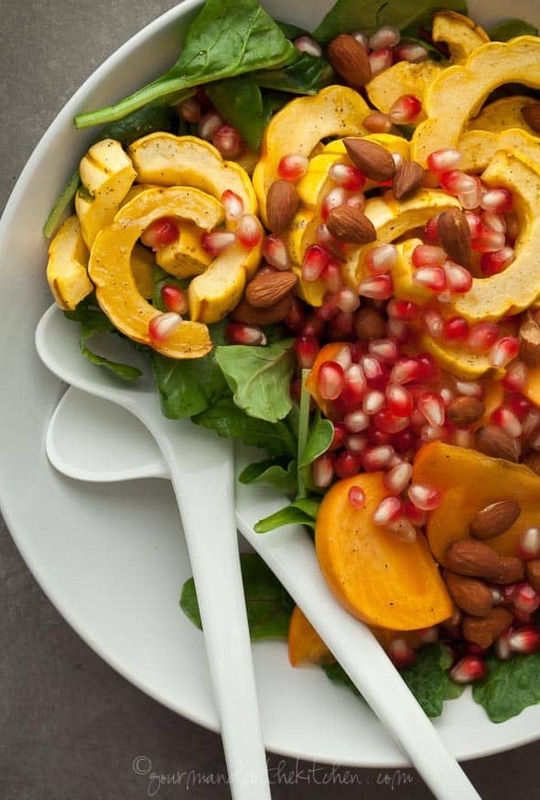 Of course the possible variations are countless but I’m quite partial to this delicata squash salad loaded with persimmons and pomegranate seeds. It‘s a wonderful mix of sweet, tart, crunchy and creamy all in beautiful shades of gold, red and green. On a holiday table filled with rich dishes, its clean flavors cuts through the heaviness of the meal. Think of it as a palate cleanser of sorts. That’s not to say that it isn’t perfectly suited for an everyday meal. The process starts by roasting slices of delicata squash, which by the way is a breeze to prepare thanks to its thin skin which means there’s no need to peel it. While that’s in the oven you just whisk together a sweet and tangy vinaigrette made with pomegranate molasses and Dijon mustard. The Dijon mustard adds a nice little kick to the mix while the pomegranate molasses is tart and refreshing. The full-flavored vinaigrette pairs well with the more subdued creamy flavor of the roasted squash while complementing the sweetness of the persimmon. (If you can’t get your hands on persimmons, slices of apples or pears would be nice too). Pomegranate arils add a pop of color and toasted almonds that essential crunch. Feel free to add a few shavings of Pecorino or feta for an extra layer of saltiness, but the salad has a lot going for it on its own already so that’s entirely optional and up to your discretion. What are your favorite kinds of salads to eat in the fall and winter? A cool-weather salad filled with bright, bold flavors and colors. In a bowl, toss the squash with 1 Tablespoon of the olive oil and a pinch of salt and pepper. Place on a baking sheet and roast until tender (about 30 minutes). 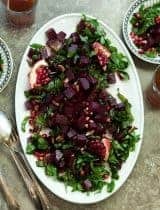 Meanwhile in a large bowl, whisk together the vinegar, mustard, pomegranate molasses and remaining olive oil and season with a pinch of salt and pepper. When the squash is ready remove the baking sheet from the oven and set it on a wire rack to cool. Toss the kale and baby greens with the vinaigrette. 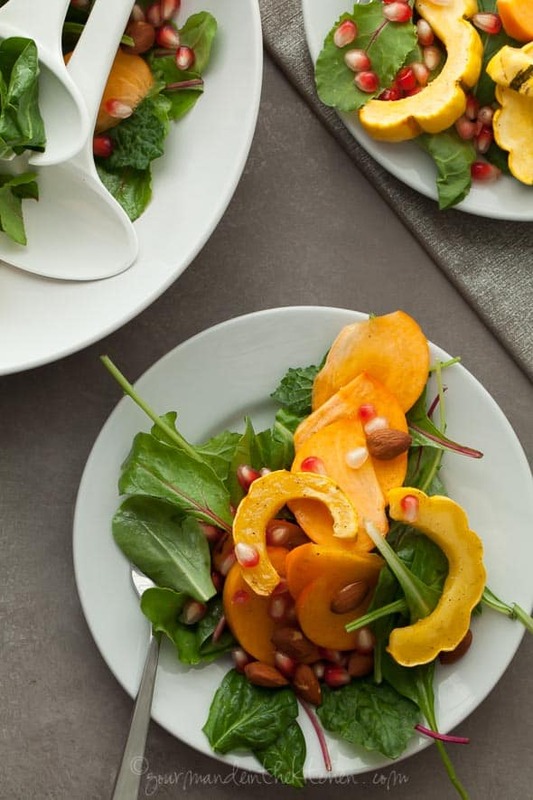 Top with the squash, persimmon slices, pomegranate seeds and toasted almonds serve immediately. I love everything about this! The persimmon! the pom, the delicata, the vinaigrette...pinned! I was just about to ask about peeling delicata squash when you answered my question before I had to! I'm going to have to pick one of these up at the market - I love the idea of not having to peel it. Such a time-saver. This salad sounds just right for fall! What a gorgeous salad! 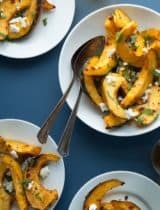 I have been loving delicata squash lately and this looks like a great new way to eat it! 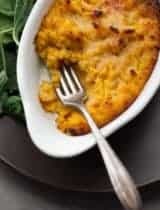 I adore roasted squash in and on everything in the fall, but I usually gravitate towards butternut. Thanks for the reminder to give delicata some love! Yum! 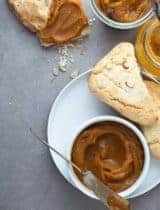 This looks super delicious and perfect for fall! We love delicata squash - and I'm so sad that it's available in our area for only a short period of time. Great salad! Such a pretty fall salad! Simply gorgeous, as always. I'm so, so happy it's squash season! I love a good seasonal salad, and this one screams fall. So many wonderful textures and flavors going on! Love salads like this...light, seasonal and as a bonus...just gorgeous! Delicata squash and one of my most favorite winter squashes - plus I love persimmons and pomegranate! You've put so many delicious autumn/winter produce into one lovely salad. This is the prettiest salad ever. It's just gorgeous. I love all the flavours. Dude, don't make me do math when I'm tired, it took me 3 times to get it right. Bah ha ha! This salad is just gorgeous - I love the colors together. I am all for using seasonal veggies in a different way, so this is perfect! What a stunning salad! 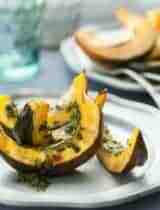 I love the idea of using delicata squash along with persimmons and pomegranate - so festive and very autumn like. Beautiful colours! I can't get enough of squash in every form at the moment and this is no exception. Very Ottolenghi! I so agree and I have been craving salads since the temperature dipped. This one is beautiful and seasonal and the flavors outstanding! So pretty Sylvie! Love the pop of pomegranate. 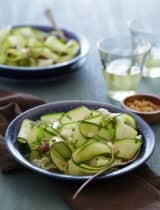 This squash salad looks amazing! Love the vinaigrette, so good! This sounds wonderful. I love all the textures and the crunch! I always look for new and delicious salad recipes that I can make for my weeknight dinners and lunches. 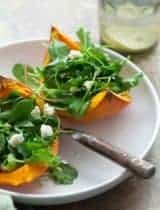 You definitely can consider i will be making your squash salad.. it looks and sounds seriously delicious, nutritious and packed full of flavour.